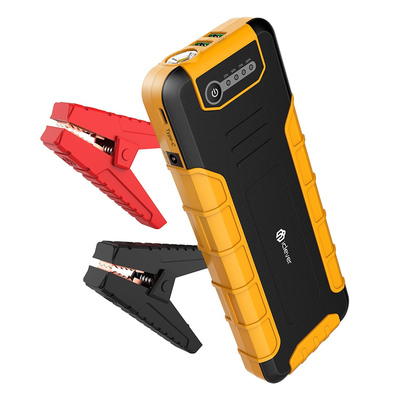 The iClever 30W 20000mAh car jump starter is basically a huge portable battery which can even charge your MacBook or Nintendo Switch. Using coupon code ABCD3366 you can pick one up for just $71.99, which is nearly $20 off its regular price. It’s designed for vehicles with up to 8L gas or 6.5L diesel engines and can jump them up to 40 times with its included 800A current heavy-duty metal clamps. It also features a USB-C port with Power Delivery which can quick charge your Nintendo Switch or smartphone. Quick Charge 3.0 is included for compatible devices as well as safety features like polarity protection, over-current protection, and over-charge protection. Almost 300 Amazon reviewers rated this product with a collective 4.6 out of 5 stars. iClever includes an 18-month warranty in case the product doesn’t work as advertised.